The Saar Plebiscite Territory, also known over the years as Saargebiet (1920-1935) and Saarland (1947-1957), did not exist as an independent entity before 1919. Its location on the border between France and Germany has given Saar a unique history. The region, originally settled by Celtic tribes, was part of the Roman Imperial Province of Belgica. In the 5th Century, the region was conquered by the Franks, and for the next 1,300 years, it was successively part of the Kingdom of the Franks, the Carolingian Empire, and the Holy Roman Empire. After the defeat of Napoleon in 1815, the region, with a majority ethnic German population, was divided between the Prussian Empire and the Kingdom of Bavaria. In 1870, the French seized the region, beginning the Franco-Prussian War. After the French loss in the war, the Saar region became part of the new German Empire. At the end of World War I, Saar was occupied by Britain and France, under the provisions of the Treaty of Versailles. The occupied area included the Prussian Rhine Province, along with the Bavarian Rhine Palatinate. 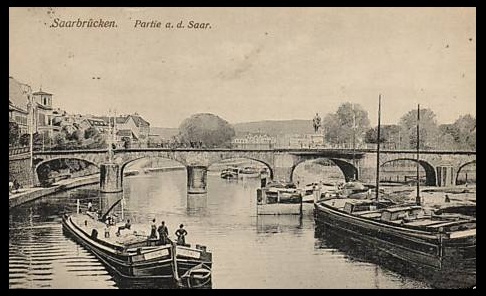 In 1920, the Saar region was created as the Territory of the Saar Basin by the League of Nations, with its capital at Saarbrücken. 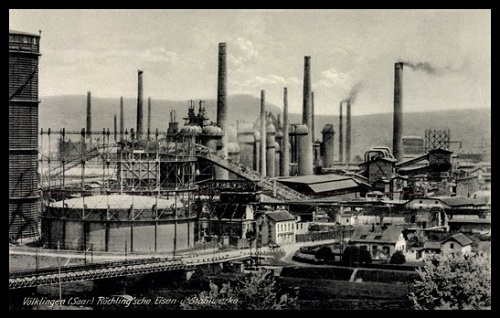 The highly industrialized territory and its coal fields were awarded to France. 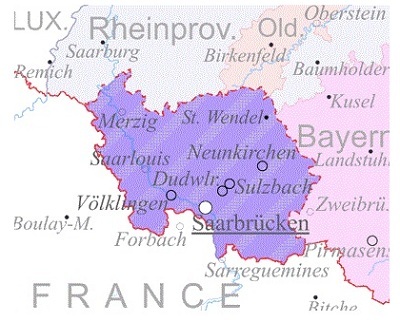 The Saar Plebiscite Territory, or Saargebiet, was administered by France, under a League of Nations mandate, to be continued for a period of 15 years, after which a plebiscite would be held to determine the fate of the territory. The postage stamps of Saargebiet are included in this category of the website, under Saar. A plebiscite was finally held on January 13, 1935, and 91% of the population, essentially ethnic German, voted for reunification with Germany. The vote was approved by the League of Nations, and Saar became part of the Third Reich on January 17, 1935. After the reunification of Saar with Germany, German postage stamps and currency replaced that of the former Saar Plebiscite Territory. After World War II, Saar, once again, became a protectorate under French control. The new protectorate, known as Saarland, resumed the issue of its own postage stamps and currency in 1947. The postage stamp issues of Saarland, formerly included in the Germany - Allied [Occupation] category of this website, are now included in the Saar category. 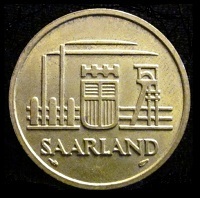 A coin of Saarland is shown at the left. On October 27, 1956, a treaty between France and the Federal Republic of Germany declared that Saarland should be allowed to become part of Germany, which it did on January 1, 1957. The Saarland Franc remained in use until July 7, 1959, when it was replaced by the Deutsche Mark. Since then, the postage stamps and currency of the Federal Republic of Germany have been used in Saarland.